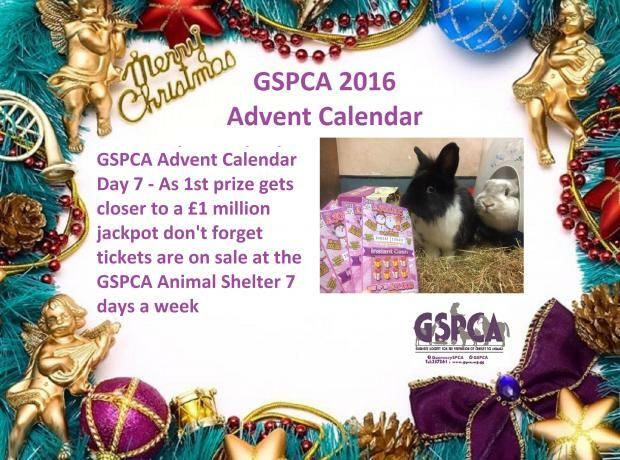 Again the GSPCA have on sale Channel Island Christmas Lottery tickets at our reception area open 7 days a week at the Animal Shelter in St Andrews. The jackpot for this year’s Channel Islands Christmas Lottery is now an amazing £675,000. The guaranteed first prize continues to rise as tickets are purchased ahead of the draw on the 19th December 2017. The second prize is set at £100,000 and the third prize will be £25,000, as well as 10 guaranteed winners of £1,000. On the weekend it was reported that the Christmas lottery jackpot has reached £415,000. 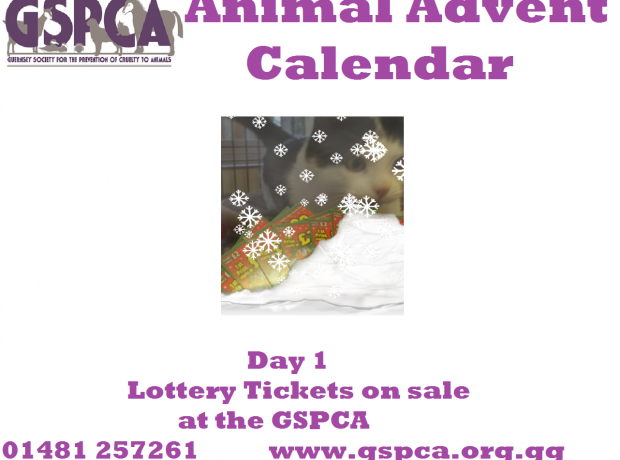 At the GSPCA reception desk we have Christmas Lottery Tickets on sale. Our reception desk is open 9am - 5pm Monday - Saturday. 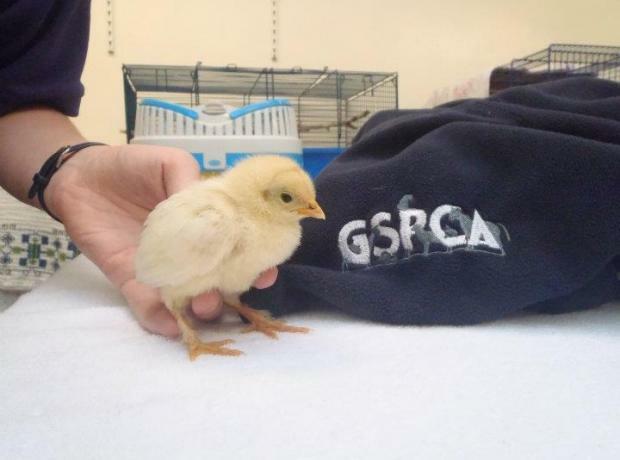 For the third year the GSPCA has tickets for the Channel Islands Christmas Lottery on sale at the Animal Shelter reception desk. 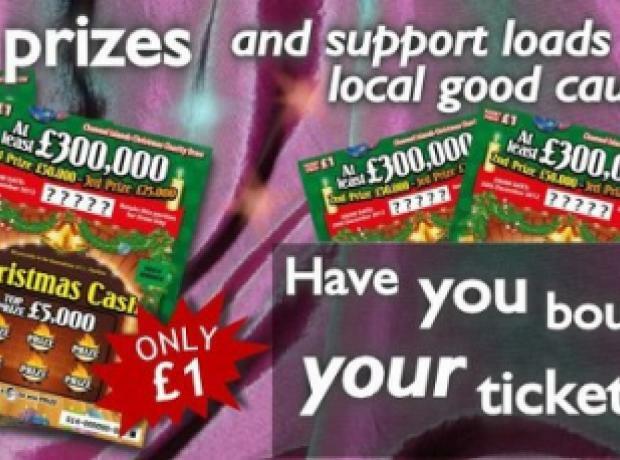 The 2014 tickets which are only £2 each are on sale and each have two numbers on and a scratch card section. Jeremy the Lop Eared Bunny modeling the tickets pictured is looking for a new home and is just one of the many animals you would help by purchasing your tickets from the Animal Shelter. Profits from the lottery, which is due to be drawn on 18th December 2014. For the second year the GSPCA has tickets for the Channel Islands Christmas Lottery on sale at the Animal Shelter reception desk. The new tickets which are only £2 each are on sale and each have two numbers on and a scratch card section. Stilton the Lop Eared Bunny modeling the tickets pictured is looking for a new home and is just one of the many animals you would help by purchasing your tickets from the Animal Shelter. This Tuesday staff saw a very unusual site. 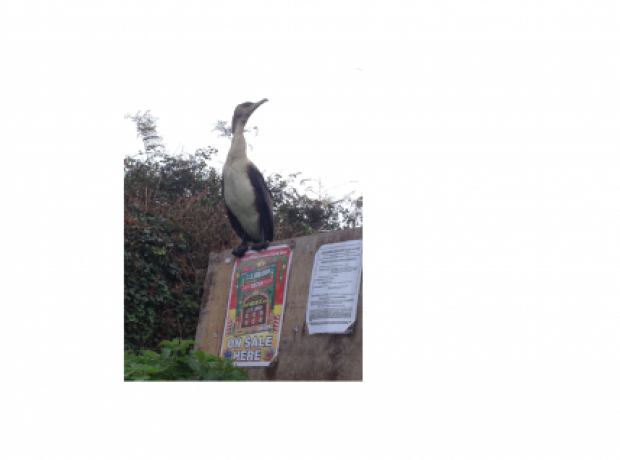 Geoff George the GSPCA Animal Collection Officer whilst going about his duties watched as a cormorant flew down and landed on the Christmas Lottery Ticket poster at the Shelter. Is this a sign of good luck? We don't know but tickets are selling well and are available at the Animal Shelter in St Andrews Monday to Saturday 9am to 5pm, so if you are passing please pop in.